The natural stylings of this Maple Engineered UNICLIC hardwood flooring creates a sense of comfort and serenity bringing the outside in. The exquisite definition of graining and natural color tone captures the visual interests found in nature. Available in 3/8 in. Thickness x 5-1/4 in. width, engineered hardwood planks with beveled edges and eased ends create the perfect backdrop for any style decor. The highest standards in manufacturing achieve unmatched quality and precision detailing in every plank. This Mohawk flooring meets all environmental standards and is CARB II and Lacey Act compliant. Features CrystalShield Aluminum Oxide Finish Technology which provides long-lasting protection that keeps your floors looking newer, longer and makes them easy to clean. 22.5 sq. ft. per case and case weight is 31 lb. Buy online Mohawk Cognac Maple 3/8 in. x 5.25 in. 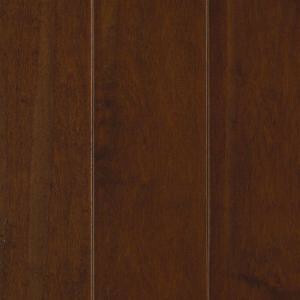 x Random Length Soft Scraped Engineered UNICLIC Hardwood Flooring (22.5 sq. ft. / case) 32399-05, leave review and share Your friends.